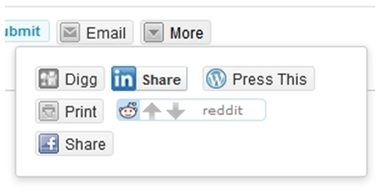 How do I share E2R via Facebook, Twitter, Stumble Upon, Google+, Digg, Reddit, etc.? Click the one you want and you’re done! Click here to see other sharing options (e.g., email, blogs, websites, newsletters).